If so, The ProFitness Pulmonary Rehab Program will educate you and help you understand both your disease and what you can do to BEAT IT and get your quality of life back. Our program consists of exercises as well as nutritional needs. Working closely with your Physician, your Physical Therapists (no assistants or aides) will evaluate your current exercise tolerance, as well as teach you new ways to breathe so you can “catch your breath” more quickly. Our personal attention to you, allows us to monitor your blood pressure, pulse, and oxygen levels as we progress your exercise program. 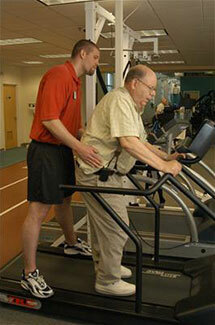 The ProFitness Pulmonary Rehab Program is very different from your average pulmonary rehab program. Along with breathing and aerobic exercises to improve your activities of daily life, we also cover all accessory respiratory muscle groups to further enhance your tolerance to all of your daily activities to improve your quality of life. Our customized treatment will also help you overcome any balance issues you may have. Get the upper hand on your ailment and get control of your life and activities back! 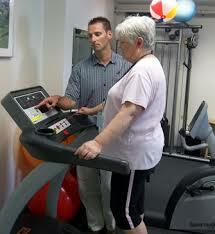 Pulmonary Rehab is your first step to breathing better!! “Definite improvement in walking and breathing experienced after approximately two months. My therapist was an excellent instructor. I would strongly recommend this organization.” – F.P.